This Moroccan chickpea salad from Le Delicieux is a spicy fall salad. 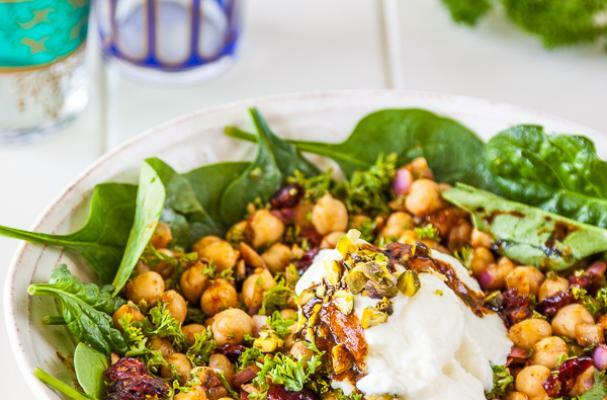 Chickpeas, also known as garbanzo beans, are marinated in spices, preserved lemon, garlic and olive oil for several hours before being served on a bed of spinach leaves with Greek yogurt, pistachios, and dried cranberries. This salad gets better the long it sits so try to make the dish ahead of time. For full recipe instructions, click here.